Rome (CNN) - Pope Benedict XVI's spokesman denied Monday that a cardinal or a woman were being investigated alongside the pope's butler on suspicion of leaking confidential documents. "I firmly deny the reports of a cardinal being also involved in the investigations, as well as the reports of a woman allegedly also involved," the Rev. Federico Lombardi told CNN. Butler Paolo Gabriele has been formally charged with aggravated theft for allegedly stealing private documents, Lombardi said. Gabriele was arrested on suspicion of leaking confidential papers to an Italian journalist, the Vatican said Saturday. The formal investigation is ongoing, Lombardi said Monday, refusing to comment on how long it will last. Gabriele, 46, was arrested Wednesday, accused of illegal possession of confidential documents, found in his apartment in Vatican territory, the Vatican said in a statement issued three days later. Members of the 3rd U.S. Infantry Regiment place American flags at Arlington National Cemetery. 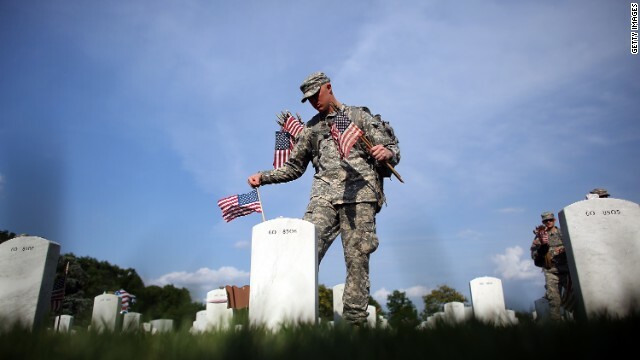 (CNN) - Today is a day to remember those who have given their lives in the service of their country. It is also a day to reflect on war. In my new book, "The American Bible: How Our Words Unite, Divide, and Define a Nation," I explore 27 texts that have served as “scripture” of sorts in American public life. Each of these texts addresses the meaning of “America” and “Americans,” and each has provoked much commentary and controversy. Here are the five best, in my view, on the meaning and ends of war. 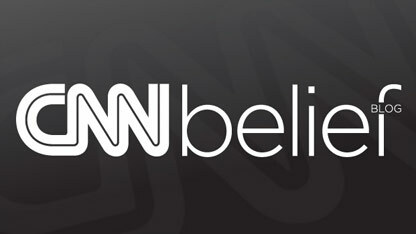 (CNN)–Hundreds of protesters gathered this weekend in Maiden, North Carolina, to voice their displeasure with a pastor's statement that gays and lesbians should be rounded up behind electric fences. Sheriff Coy Reid estimated between 1,500 and 2,000 protestors came to the Catawba County Justice Center for a peaceful protest on Sunday. He said only two citations for noise violations were issued and there were no arrests. The protest was organized by the Catawba Valley Citizens Against Hate in response to a Mother's Day sermon by Pastor Charles Worley at Providence Road Baptist Church in Maiden. "I figured a way out, a way to get rid of all the lesbians and queers, but I couldn't get it past the Congress," Worley said to his congregation on May 13. A video of his comments went viral on YouTube. Rome (CNN) - Pope Benedict's butler has been arrested on suspicion of leaking confidential documents to an Italian journalist, the Vatican said Saturday. Paolo Gabriele, 46, was arrested Wednesday for illegal possession of confidential documents, found in his apartment in Vatican territory, the Vatican said in a statement issued three days later. Gabriele, who has worked as the papal butler since 2006, is one of only a handful of people with access to the pontiff's private desk. His job included handing out rosaries to dignitaries and riding in the front seat of the "Popemobile," a vehicle used for public papal appearances, as seen in many photographs showing Gabriele with the pope. Last month, the Vatican gave Cardinal Julian Herranz a "pontifical mandate" to uncover the source of hundreds of personal letters and confidential documents that have been released to Gianluigi Nuzzi, an Italian journalist and author of "Sua Santita," a book that translates to "His Holiness" and includes the documents. The brother of an Italian girl missing for nearly 30 years urged the Vatican to investigate her case as several hundred demonstrators carrying pictures of her marched to St. Peter's Square on Sunday. The march came a day after Italian prosecutor Giancarlo Capaldo told CNN that a priest who used to run a church in Rome is under investigation on suspicion of complicity in the abduction of Emanuela Orlandi. The showdown between the Vatican and America's largest group of Catholic nuns is expected to peak this week when group leaders will meet to determine a response to the Vatican's reprimand for the group's "radical feminist themes." The church also demands major reforms from the nuns' group.